American-born Harold Terrence (Hal) Salive (1939-2012) ‘got hooked’ on Science Fiction in 1952. He began to collect two years later, and over his lifetime built up an impressive collection of mainly paperback volumes, and an almost complete run of the Astounding Stories magazine, first published in 1930. After graduating with a PhD in experimental psychology from Ann Arbor, Michigan, Salive moved to Auckland in 1972. He continued his SF collecting, and he became one of New Zealand’s early adopters of Commodore 64 computer technology. In 2013, Salive’s wife, Rachel, donated the 2500-volume Hal Salive Science Fiction Collection to Special Collections. It is a fine legacy, and a valuable asset. 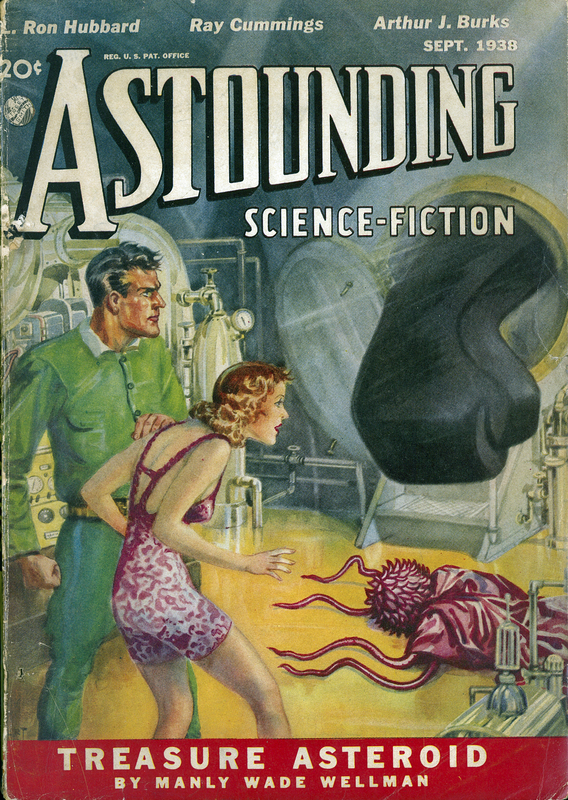 Edited by John W. Campbell, Jr, “Astounding Science-Fiction. Vol. XXII, no. 1,” ourheritage.ac.nz | OUR Heritage, accessed April 22, 2019, http://otago.ourheritage.ac.nz/items/show/11245.